Top: Lake Hope Trail, July 31, 2017 and Ryman Creek Trail, June 10 2016. Lake Hope Trail, August 7, 2005. 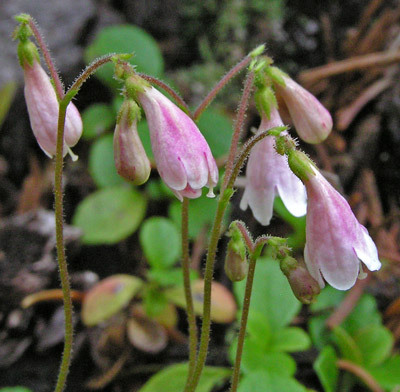 These delicate beauties spread by runners in bright evergreen patches in moist, shaded woods. Flower stems are typically two-to-four inches tall, leafless, and quite slender. Light pink flowers hang in pairs at the top of the stems. 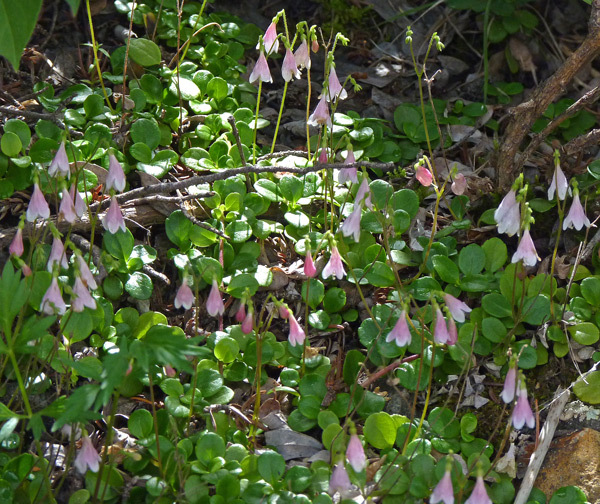 Linnaeus first saw Linnaea borealis in 1732 on his 6 month botanical explorations of Lapland. It became his favorite plant and was prominently pictured (often next to a drawing of Linnaeus or in Linnaeus' hands) in most of his future books. 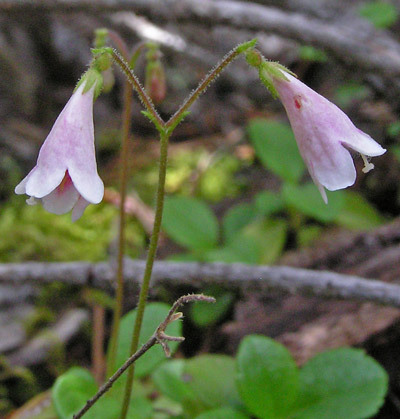 It is commonly believed that the name of a plant which is derived from that of a botanist shows no connection between the two...[but]...Linnaea was named by the celebrated Gronovius and is a plant of Lapland, lowly, insignificant, disregarded, flowering but for a brief space -- after Linnaeus who resembles it. 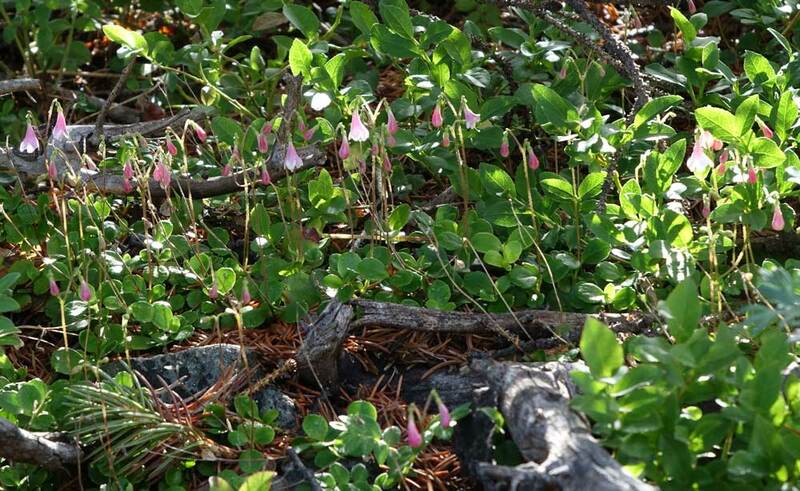 Read more about Linnaeus' Lapland trip, his love of Linnaea borealis, and the 300th anniversary of his birth. Click here. And here. 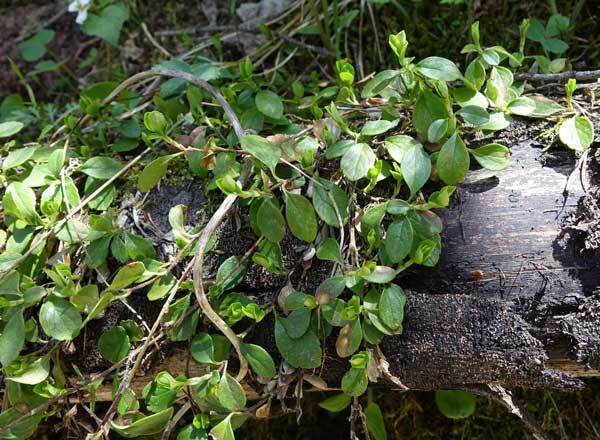 "Borealis" is Greek for "northern" and refers to the distribution of this plant across the northern hemisphere. 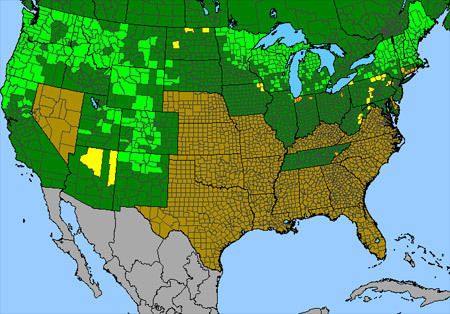 The plant is, in fact, circumboreal. 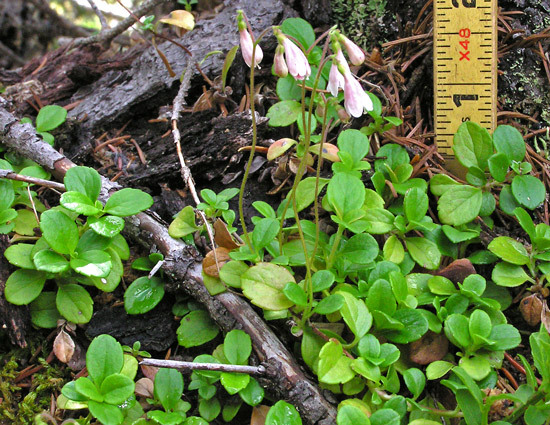 L. borealis subspecies longiflora is found from northern California to the Aleutian Islands. 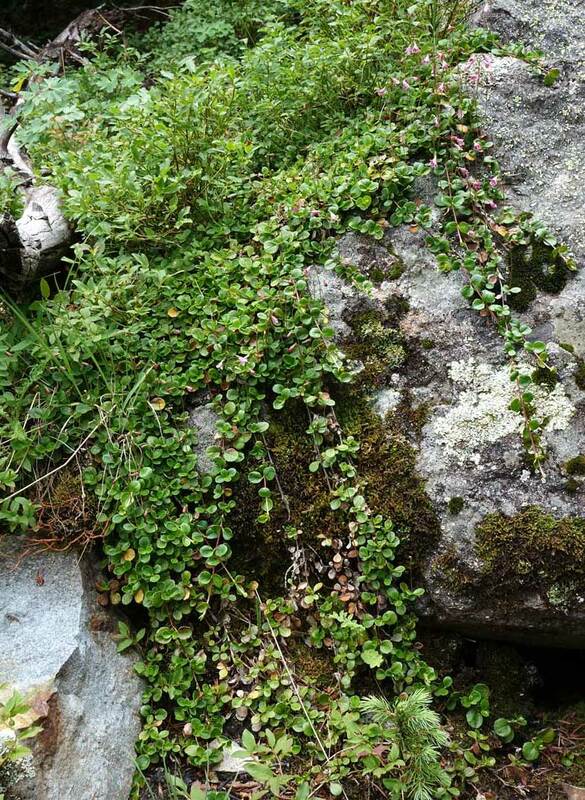 L. borealis subspecies borealis is the northern European plant Linnaeus loved. Click for more information about Linnaeus and the naming of plants. 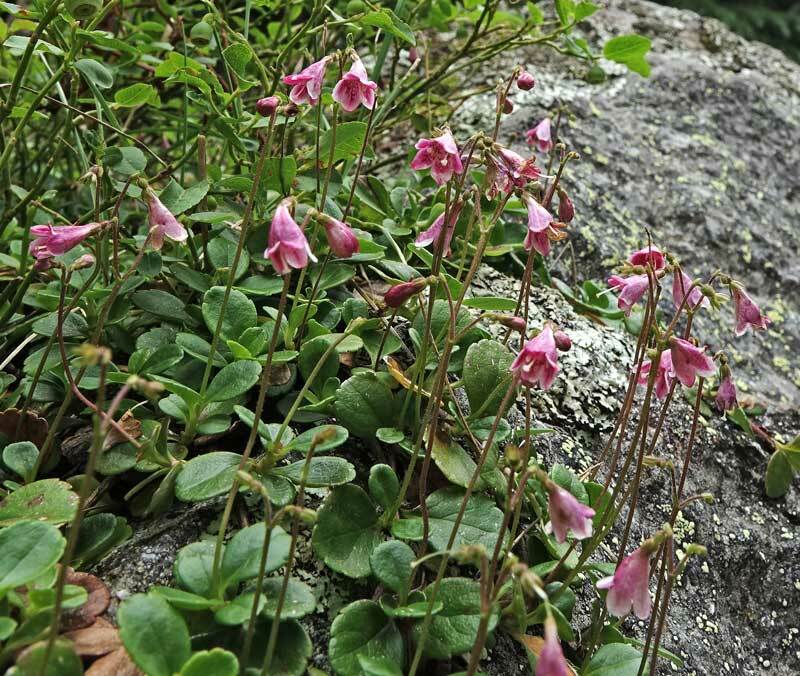 There is a quiet, airy charm about these flowers.